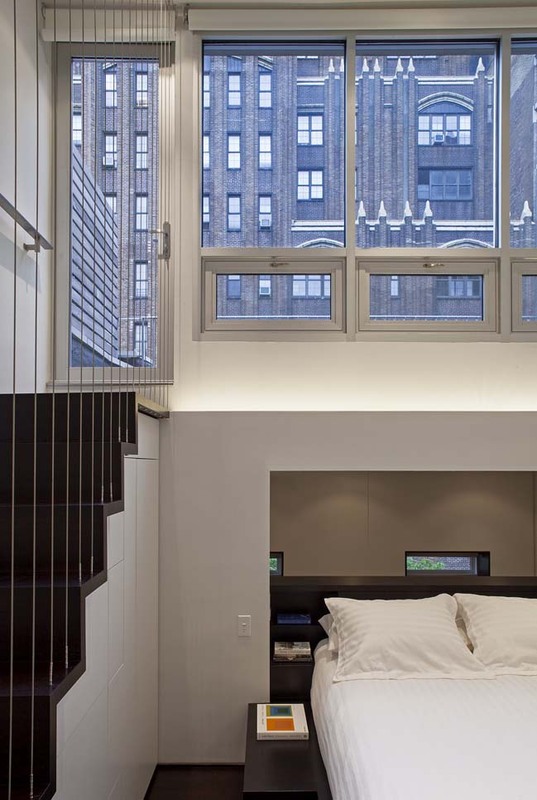 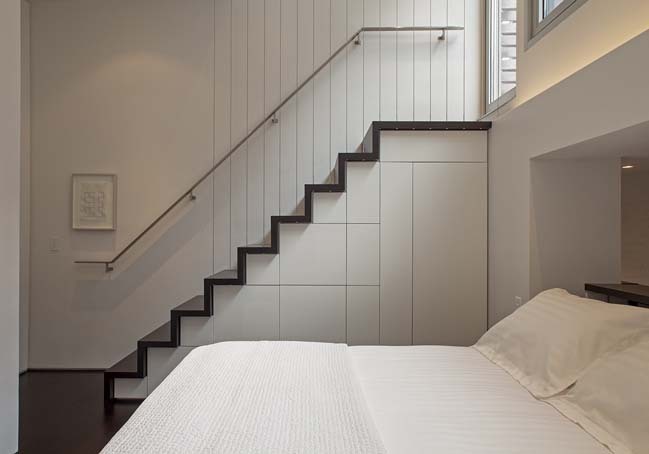 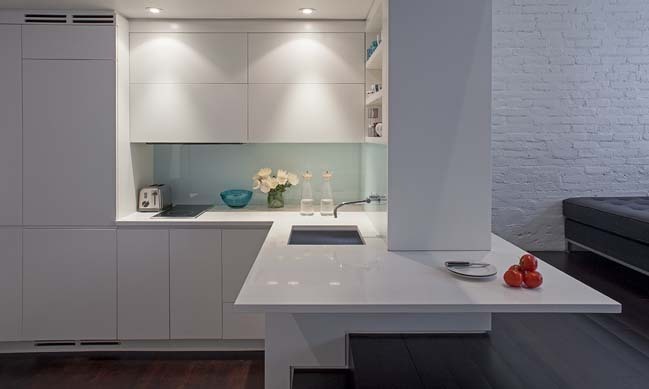 This micro loft located on the top floor of an old building in Manhattan and was renovated by Specht Architects in order to create a modern apartment to feel open and bright. 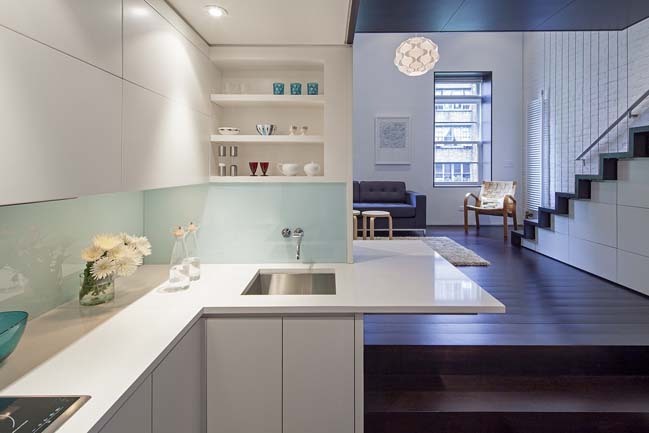 According to the architects: The apartment has only 425 square feet of floor area, but a ceiling height of over 24 feet, the new design exploits the inherent sectional possibilities, and creates a flowing interior landscape that dissolves the notion of distinct "rooms". 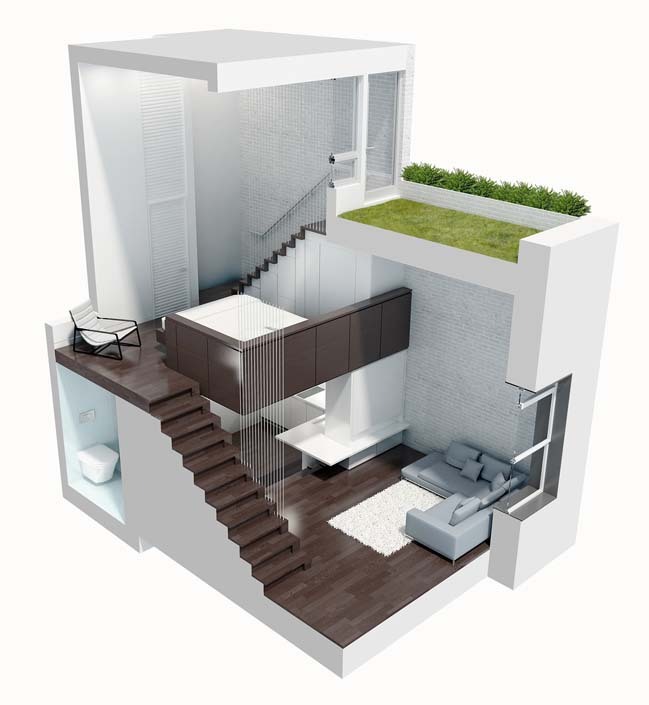 The architectural strategy creates four “living platforms” that accommodate everything necessary, while still allowing the apartment to feel open and bright. 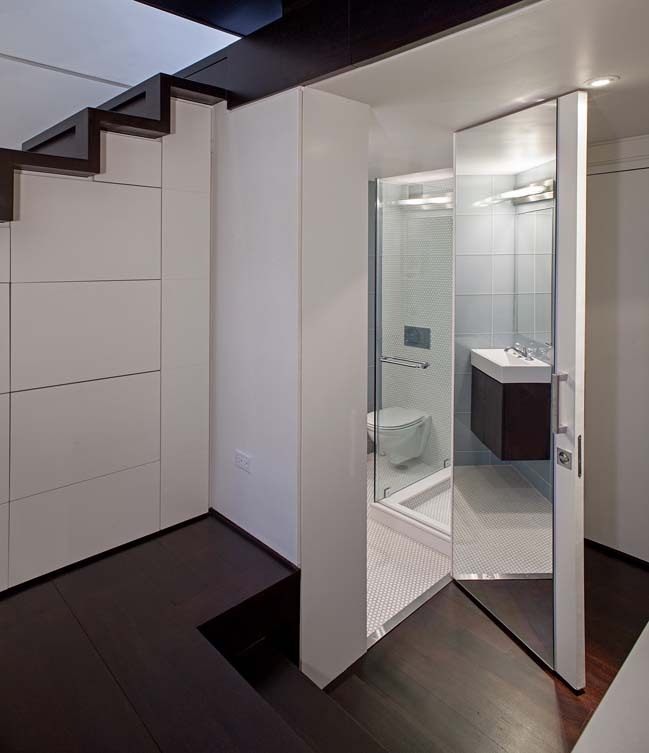 The spaces are interleaved, with a cantilevered bed that hovers out over the main living space, an ultra-compact bath tucked beneath the stair, and a roof garden with glazing that allows light to cascade through the space. 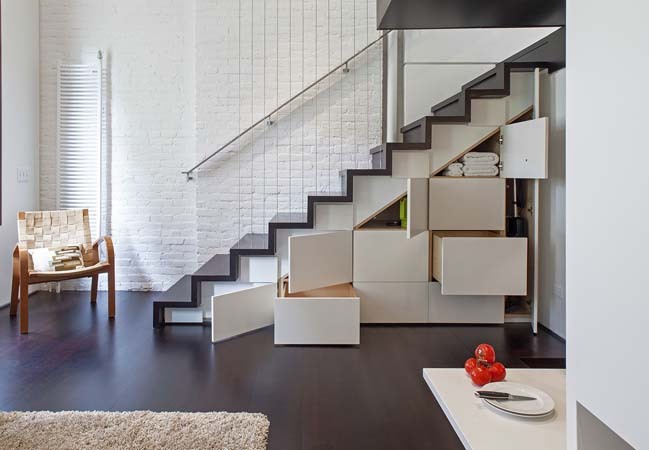 Every inch is put to use, with stairs featuring built-in storage units below, similar to Japanese kaidan dansu. 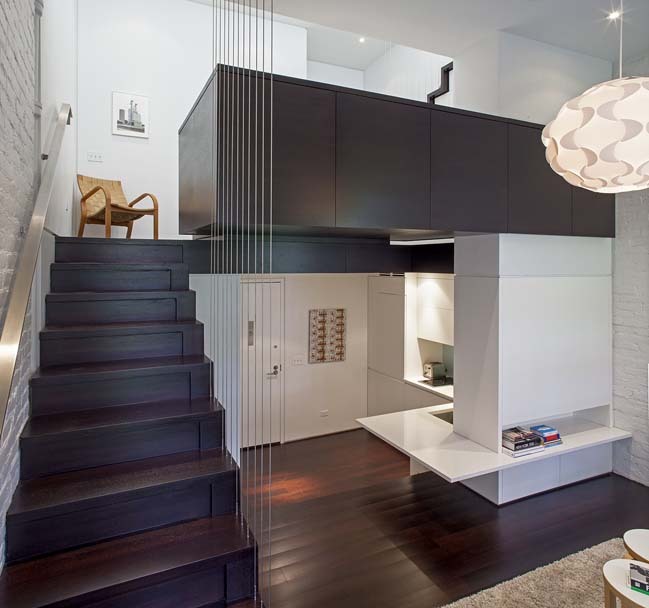 The apartment is crafted like a piece of furniture, with hidden and transforming spaces for things and people.